For many of us our grandparents mean everything. Growing up they showed us what it meant to be truly loved unconditionally. They were there for us when we sprained our knee running and they were there to give us a homemade cookie to stop the crying. They were the good cops. When mom or dad would discipline us, we could always turn to grandma and grandpa for a hug. They would tell us stories of what life used to be like when. They’re filled with such wisdom and knowledge and they helped shape many of us with their world views. 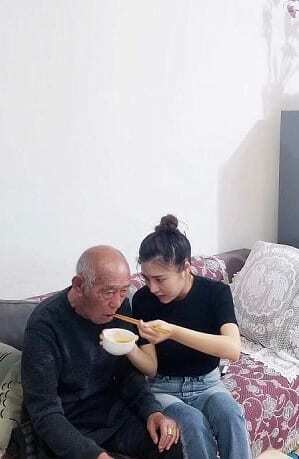 In China one granddaughter shared a very special bond with her grandfather. When Xuewei Fu’s parents separated she was sent to live with her grandparents. 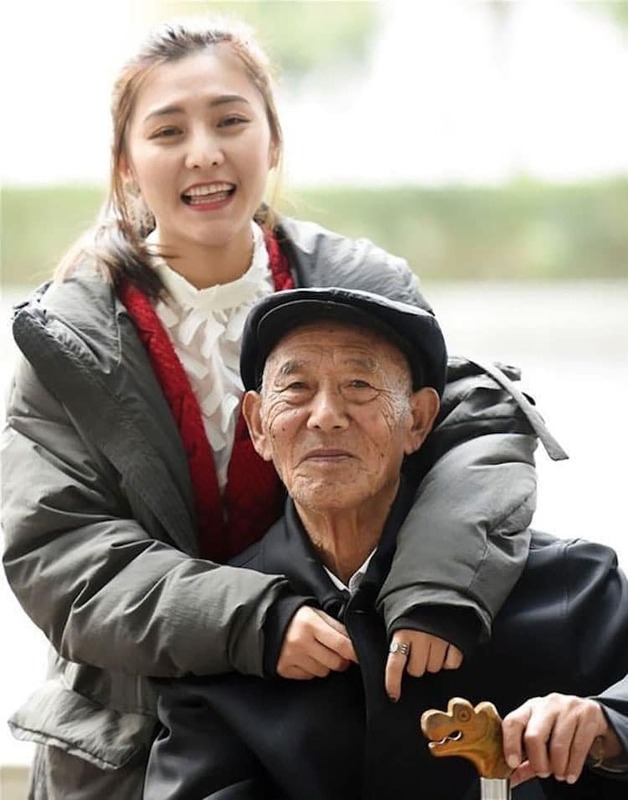 Although this period of her life was marked with such pain from the separation, she formed a special connection with her grandpa. He showed her real life and raised her to be an incredible entrepreneur that she grew up to become. Nothing pulled into focus how close their bond was when her beloved grandfather fell ill. The doctors weren’t sure what would happen and Xuewei was heartbroken. After some time, however, she dusted herself off and presented her grandfather with an incredibly special gift. 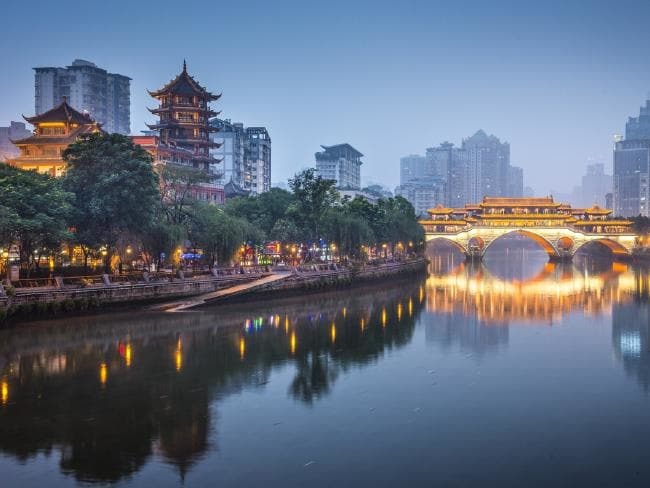 Our story begin in Chengdu, China. 14 million people inhabit this gorgeous city that is filled with food, culture, and wildlife. Pandas dominate the city that is nicknamed “Panda Central.” Scientists study the breed and the city even has one of the largest panda sanctuaries. The city is popular with tourists for its stunning architecture and gorgeous landscapes. And if you’re a tea lover then this is the place for you. The entire city is hub to some of the most delicious and organic herbs to infuse any drink. Go in the winter and you’ll be treated to beautiful snowfall and white-covered mountain tops. It’s here where we meet Xuewei. Xuewei loves her grandparents very much. They helped to raise her and teach her the workings of the world around her. They were always so nurturing, loving, and kind and when her parents separated they were there for her to help pick up the pieces. After the split she was sent to live with Mr. and Mrs. Fu – or as she simply known them as – grandfather and grandmother. What could have been a long and heartbreaking process was mended by the love her grandparents showed her. They took her in and nursed her broken heart back to health. As she went through her difficult period they cared for Xuewei. As she grew up, Xuewei was just like any other young woman. She experienced firsts and discovered what were passions and the issues she cared about were. As she began to understand the world, her grandparents helped guide her. They stressed the importance of having strong values: caring for others, finding your confidence, and leaving the world a better place than you found it. As she grew up she set her sights on her dream of studying abroad in Europe. 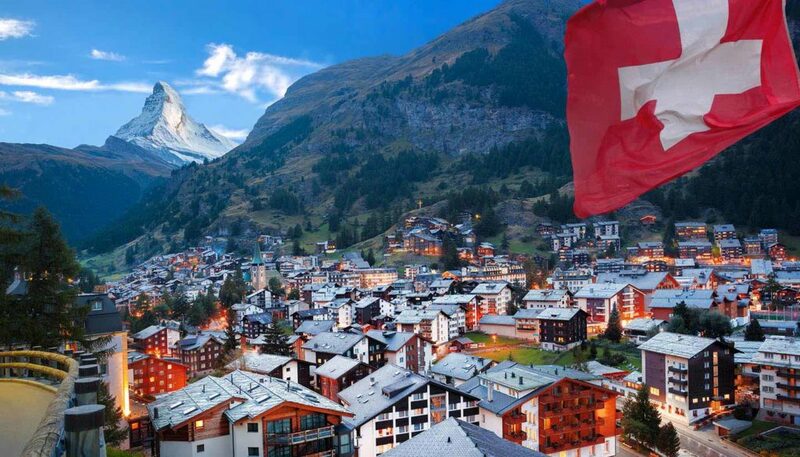 And so she travelled far far away to Switzerland. She loved everything about the beautiful country: the kind people, the beautiful landscapes, and the amazing desserts. She was thrilled to be there but her heart was back in China with her family. She knew that she wanted to have the study abroad experience but perhaps somewhere a little closer to home. So she travelled back to Asia to Singapore. When she finished her studying she returned home to China. Before returning home she did some studies in Singapore. 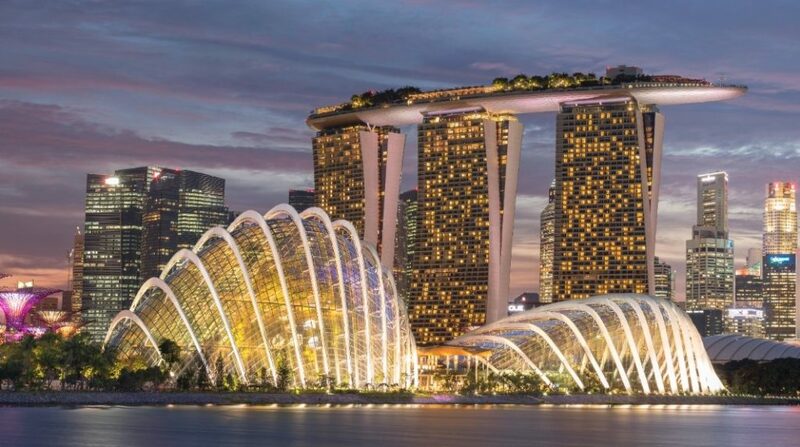 The gorgeous city-state (meaning that Singapore is both a city and country) is a majestic place with some of the most robust nightlife and incredible, modern architecture. It’s no wonder that Xuewei took one look at the gorgeous place and fell in love. The country hosts two out of the top three most expensive buildings in the world. One of them is an impressive museum in the shape of a robot hand. It was a bittersweet homecoming. On one hand she was thrilled to be home and back to the comforts and familiarity that come with living in the space you grew up in. On the other hand, as Xuewei got older, so did her grandparents. It was a hard reality to face for the young woman as she reunited with her adored grandparents. They were slower and time made life harder for them. After falling ill, Mr. Fu’s doctors said they didn’t know how much longer he had to live. What does it take to keep a grandparent-granddaughter relationship close? Well for starters, psychologists say that proximity is a start. 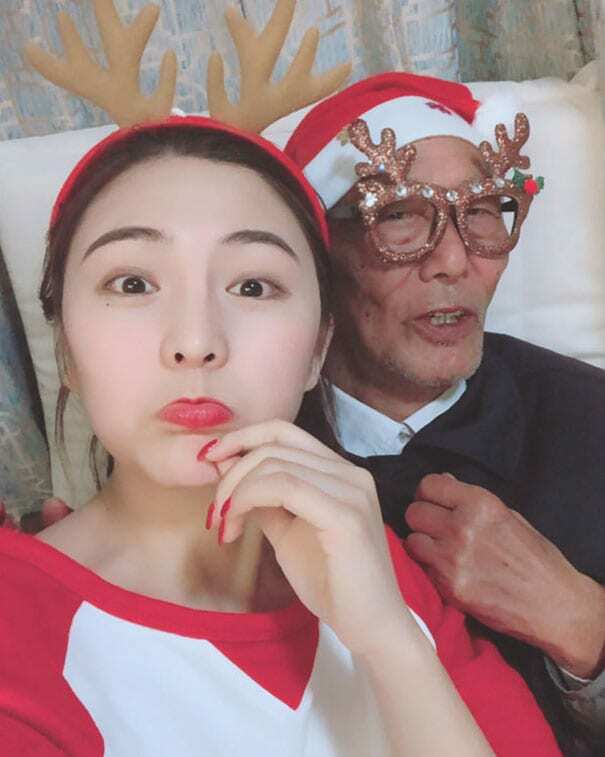 That adds some clarity to Xuewei’s decision to move home to her grandparents soon after finishing her studies. Emotional bonding is another key component. 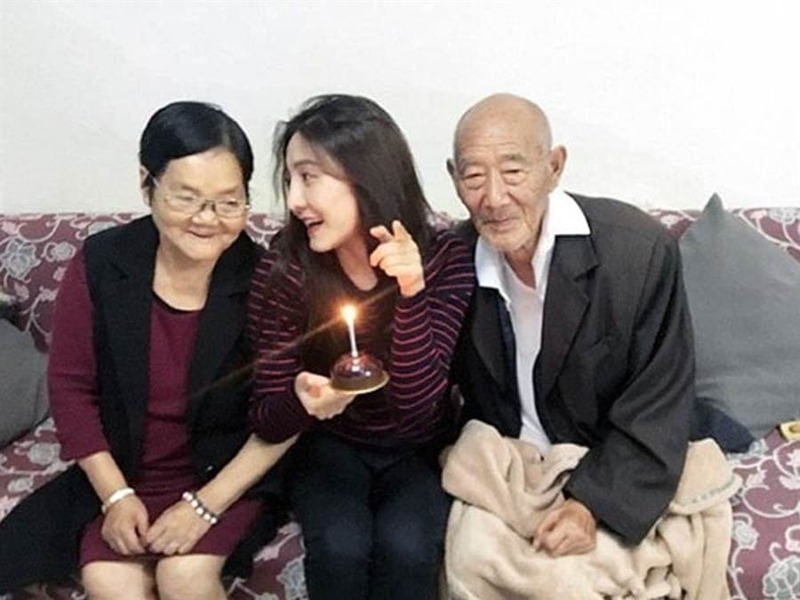 When Xuewei’s parents separated when she was very young, her grandparents helped forge that bond through love and time when she came to live with them. These are just a few of the most important component of maintaining a happy bond. 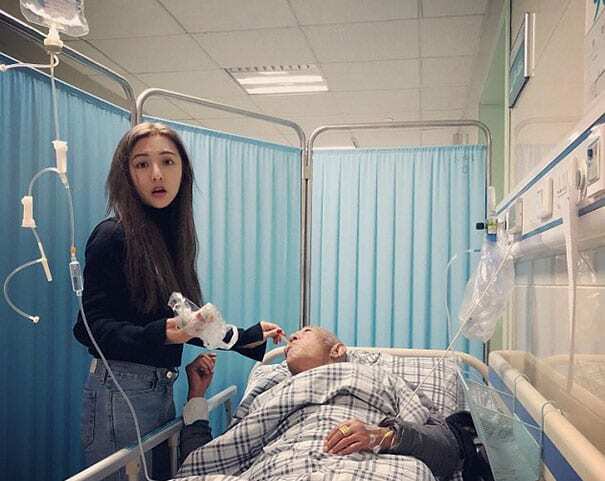 Xuewei was crushed by the news that her beloved grandfather had fallen ill while she was abroad. Of course there was the risk that comes with his old age but she was devastated nonetheless. She put her career opportunities on hold to take care of him. She visited him in the hospital everyday, fed him, and made sure he was comfortable. She was scared but put on a brave face for him. He did so much for her during her parents painful separation and she wanted to do for him what she could in return. As she cared for him she looked back on all the good times they shared together. The times he played with her, held her, comforted her, and spent even the most casual of time with her were the moments she knew she would cherish forever. They had a special bond that couldn’t be broken. All was put in perspective when he fell ill. She knew time was running out and she wanted to give him one last surprise to smile about. Like many grandfathers of Chinese descent, they are eager and excited to watch their granddaughters get married. It brings a sense of pride and celebration along with it. It’s many grandfathers dreams to witness the wedding ceremony and to share in the true joy that comes from such an occasion. 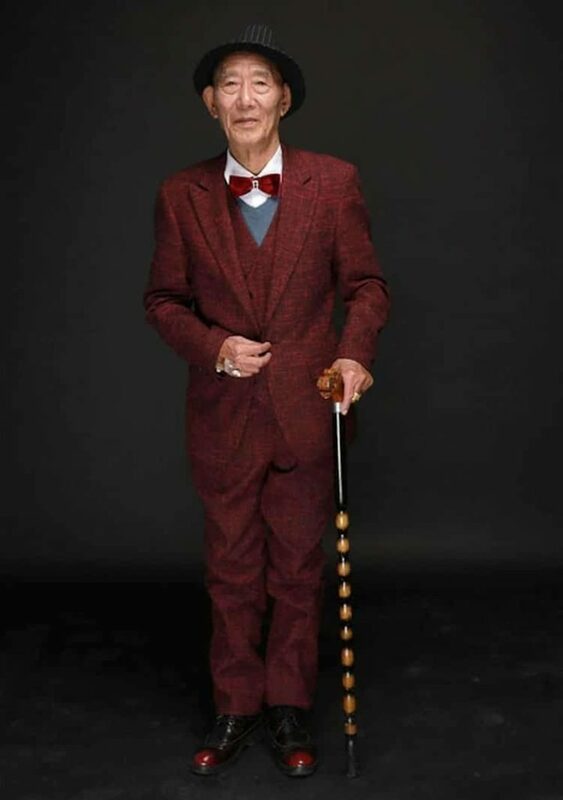 Mr. Fu was eager to watch his adoring granddaughter get married. Xuewei wasn’t dating anyone at the time but knew how much the symbolic nature of a wedding meant to him. 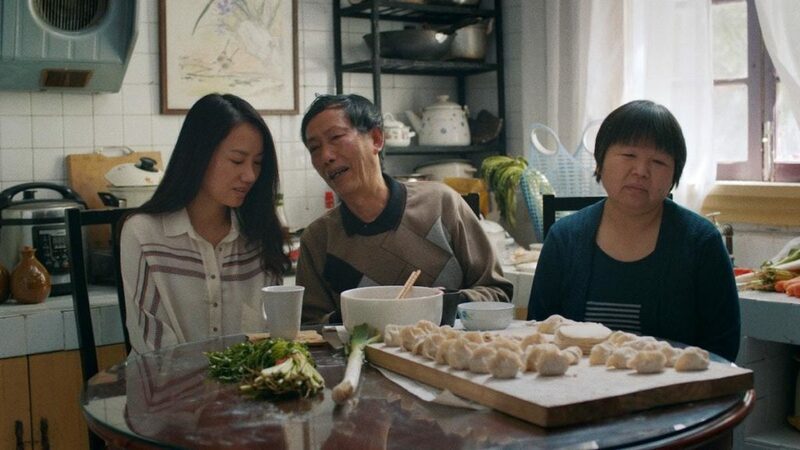 Traditional family values in Chinese culture means getting married at a young age. In some cases, 27 years old is seen as too old for a woman walk down the aisle. If you’re a woman and 30 years old – just forget about it. Many women and activist groups are pushing back against this archaic idea and the pressures that young women face to please their traditional families. Regardless, it was important for Mr. Fu to watch his granddaughter get married and Xuewei knew it. “Sheng nu” is the derogatory term used to describe women who choose to not get married. Think of the term as the equivalent to “spinster”. Many women and progressive groups are working to reclaim that term and use it to self-describe with a sense of pride. Many women choose a career over a union, while others are simply not interested in marriage altogether. Regardless the reason it’s all about the right to have agency over one’s choices. These pressures in traditional Chinese culture can be too much to bear. Xuewei wasn’t interested in getting married anytime soon. She had just finished an exciting study abroad opportunity and was eager to jump start her career. She did acknowledge, however, how important it was for Mr. Fu to watch her walk down the aisle. In his final time she wanted to make him happy and full of joy. She wasn’t going to let her being single get in the way of him experience her wedding. She had an idea. Because Xuewei couldn’t bring him to her real wedding, she decided to bring her wedding to him. “We’re actually going to take some pictures today,” she told her grandfather at the hospital. He simply nodded, unaware of what she had in store. She took him to a photo studio. Even while he dragged his IV drip around, it didn’t stop him from checking out the surprise. She was mum the whole ride to the studio. She was just too excited. Mr. Fu couldn’t believe his eyes. 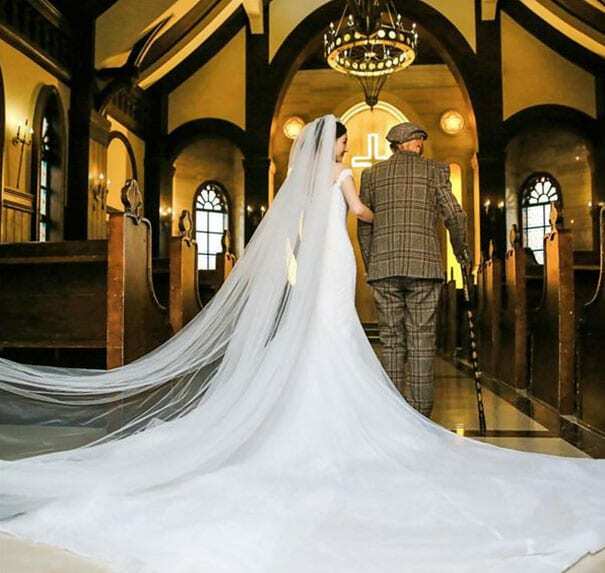 His loving granddaughter planned a wedding just so he can walk her down the aisle. The gesture brought tears to his eyes. 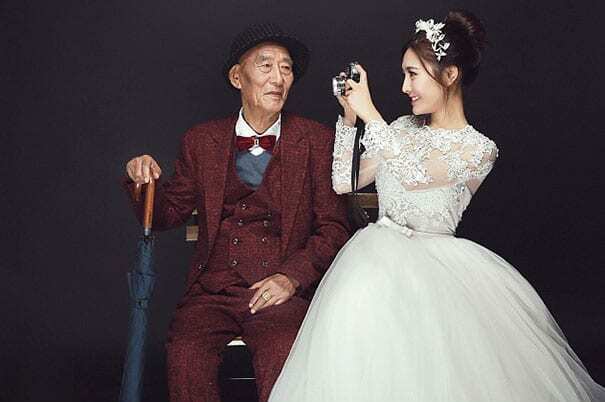 “My grandfather would be the one to give me away at my wedding,” Xuewei says. “Because I don’t know if he could live long enough to see that, I wanted to make sure he could do that now.” She donned a gorgeous white dress while he dressed in his best tux. The surprise didn’t stop at the studio. 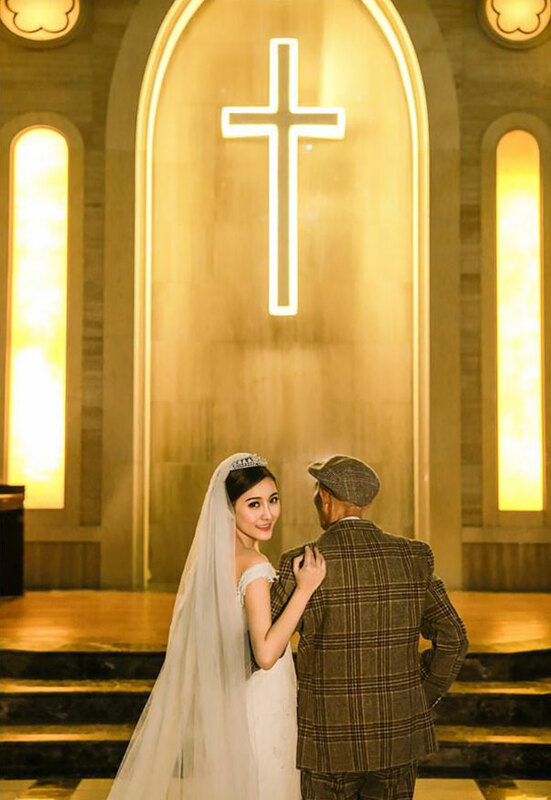 In addition to renting a professional space to take pictures in their outfits, Xuewei also rented a church for a mock wedding ceremony. She paid 3000 yuan ($476) for the entire event but to her the ceremony was priceless. Her grandfather was filled with joy and relief that he would be able to experience such a joyful occasion. His smile alone was enough to know that the surprise was worth it. Although she didn’t have a mate it didn’t matter. What mattered most to Xuewei about her wedding was that her grandfather would be there to walk her down the aisle. “My grandfather would be the one to give me away at my wedding,” she says. “Because I don’t know if he could live long enough to see that, I wanted to make sure he could do that now.” We could only imagine how thrilled Mr. Fu was. The camera snapped as grandfather and granddaughter laughed and danced at the impromptu wedding. The event was set up on a budget but as the pictures so elegantly reveal, it looks like a million bucks. 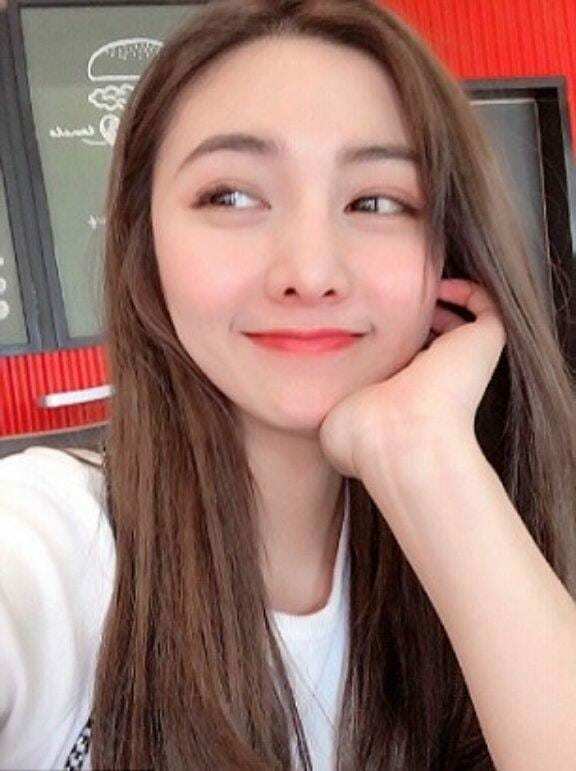 The photos went viral in China after Xuewei posted them to her social media pages. The story was just so touching and we could only imagine readers reaching out to their own grandparents to show them love and support. It’s such a timely story. 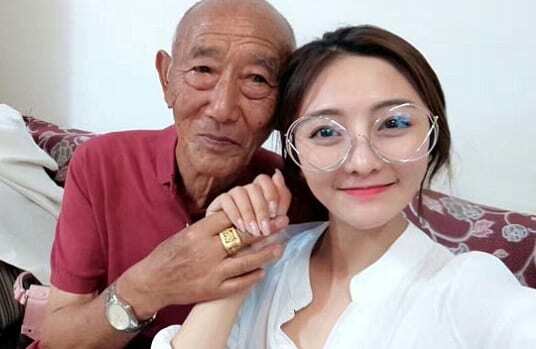 We haven’t heard from Xuewei about her grandparents but we’re sure the internet that buzzed about the beautiful photos are all wishing them the best. 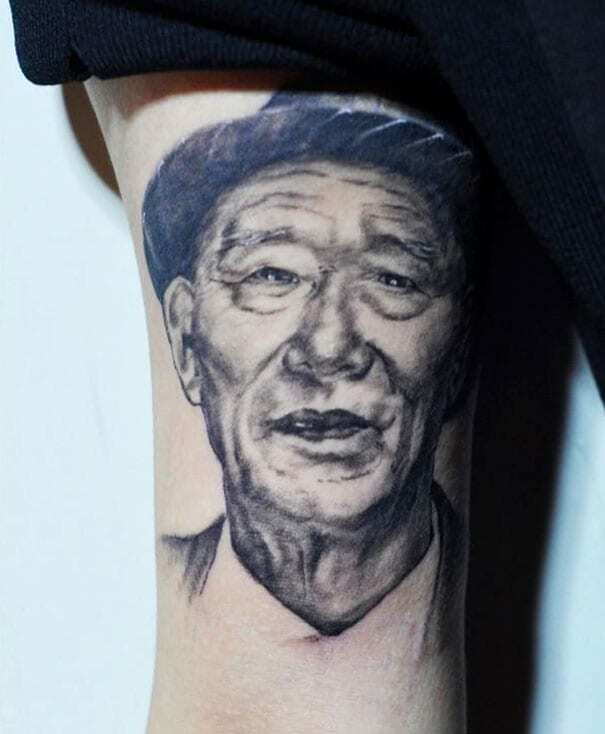 Last we heard from her she got a tattoo of her grandfather on her arm. It’s a gorgeous commemoration of his life and story. He clearly means so much to her and now she has a piece of him that will be apart of her forever. There’s no denying their beautiful relationship. The bond between a grandparent and a granddaughter is extremely formative and important. For Xuewei it meant everything. The love she shared with her grandfather meant that she had a support system and unconditional love. Psychologists are unanimous in the idea that the relationship that crosses generations is so vital. Child psychologist Jennifer L. Hartstein, PsyD says that granddaughters with strong relationships with their grandparents foster more secure young women as they grow older and enter society’s demands. We’re sure we don’t need to tell Xuewei that twice. What ever happened to the cast of “Ugly Betty”?